After what has been a severely hit and miss season for the show Season 6 finally enters into its endgame for the season as we ended the previous episode on the dramatic note of both Buffy and Tara being shot by Warren. Now while Tara’s death might have been more accidental it was of course all that was needed for Willow to fall of the magic recovery wagon which is were this episode chooses to focus as she now sets out to take out her revenge on “The Trio”. For anyone who was expecting Warren to be the big bad of the season this twist might have come as something of a surprise that it would be Willow instead who claims the honour which at the time I remember feeling came out of nowhere, when it had really been what the season had secretly been building towards all this time. Hiding the threads as b-plot fodder of Willow misusing her magical abilities and not realising the consequences of bringing Buffy back from the dead as she instead choose to get wrapped up in her own ego. The main problem however is the fact that the character of Willow has at this point long ago drifted away from the likeable sidekick of the first three seasons to now constantly feeling like she was on the same level as Buffy and generally providing a source of constant frustration with her attitude and actions. Now marking her turn to evil Willow we see her hair turning black which might just be up there with Emo Peter Parker from “Spiderman 3” for worst villain turns and leaves you wondering why the showrunners didn’t just settle with the black eyes especially when she is shown throwing around so many special effects as we watch her powering up by absorbing the knowledge of the magic books by draining the ink from the pages and even unleashing a powerful enough scream to seemingly injure the god of death Osiris who refuses to bring Tara back because of her death being natural and human and hence cannot be undone. Perhaps if we were still looking at the original Willow model, this sudden shift to evil would be more shocking but instead what we get here is the writers somehow managing to make her even more grating while at the same time seemingly the most powerful being in this world. 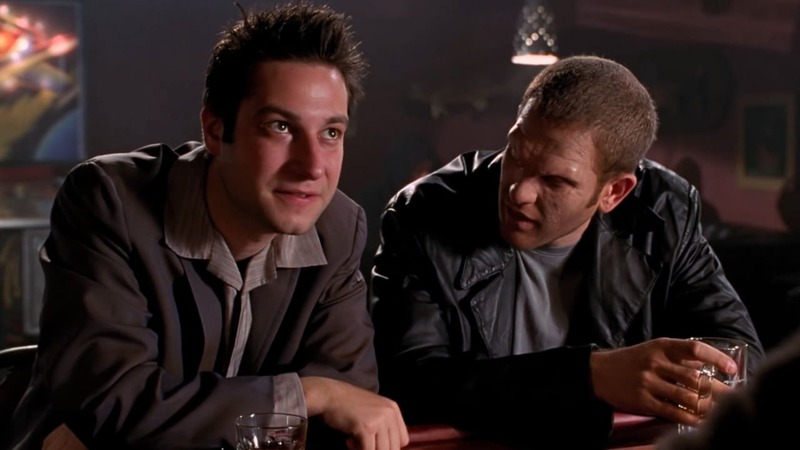 Warren on the other hand atleast suffers a half decent fall from power as he soon realises while bragging in a demon bar that by killing the Slayer he is now free to be targeted by any of the monsters usually kept in check by Buffy’s patrols. His demise ultimately comes at the hands of a vengeful Willow who in one of the most shocking moments of the show magically flails him before detachedly remarking “One Down” and vanishing. Surprisingly in the comic Warren did return as his flayed version when it is found that Amy had resurrected him in a plotline which soon saw the pair trying to take revenge on both Buffy and Willow with Warren attempting to lobotomise Willow for what she did to him. Elsewhere in Africa we got to see Spike starting his trials to be restored to his former self as he meets with a demon in a cave whose eyes we only get to see certainly making him one of the more interesting creations of this universe and one we sadly never get to know enough about especially for one seemingly so powerful. An episode not without its memorable moments, the introduction of evil Willow still doesn’t feel like the big evil we wanted for the season and perhaps the writers should have stuck with Warren instead as certainly of the pair he is the more believable and certainly more theatrical of the pair.